You think you've just been using very specific nouns but you're actually firing off genericized trademarks and shilling for the corporate fatcats all along. Every Friday, I’m compiling a list of five things that meet one criterion. “What is that criterion”, you ask? Well, it’s going to change every week and you’re just going to have to try and keep up. Between our media-heavy world and the human instinct to forcefully evolve our languages, we all tend to inject words into our vocabulary that we probably shouldn’t. Beyond actual linguistic taboos like saying “could of” instead of “could’ve (could have),” we co-opt made-up words from television and film that eventually make their way into the dictionary (like “truthiness” or “interweb”) and shorten phrases into acronyms based on our Internet habits (like “BFF” or “OMG”). But arguably the most noticeable fashion in which folks use words they shouldn’t use (and in many cases, don’t even intend to use) comes in the form of “genericized trademarks,” also known as “proprietary eponyms”. That is, using a trademarked name as if it was just a regular old noun. You’ve done it, I’ve done it, and even though I’m using a lot of words here to hint that we should all stop doing it… we’re both going to keep on doing it probably for the rest of our lives. In some cases, we are well-aware that the word we use is actually a brand name but we persist regardless because it’s just easier, that way (see: Band-Aid, Coke, Google, Scotch tape, Xerox, Photoshop, Chapstick, Jeep, Jell-O, and Kleenex). But there are many words being fired back in forth in communications all over the country that are actually cleverly disguised brand names. 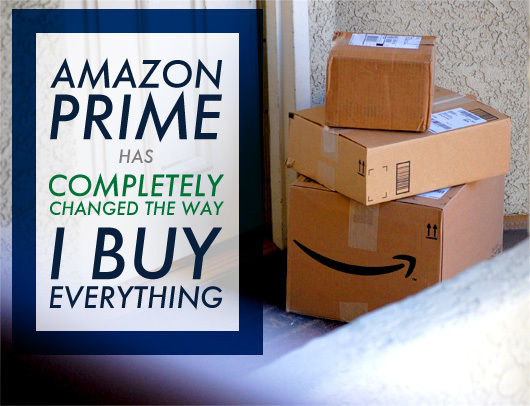 You’ve been shilling for the corporate fatcats and you didn’t even know it! It’s worth pointing out that many of the names below are pretty widespread in their colloquial use but not all of these terms are used everywhere (for instance, did you know that in many parts the southern United States, people use “coke” as a non-proper reference to all varieties of soda? ), so don’t go complaining if your city region miraculously says all the right things all the time. This one has a pretty interesting origin story: the first iteration of an electronic control weapon was developed by a NASA scientist named Jack Cover (he was former chief scientist of the Apollo Moon Landing Program, so he’s pretty much awesome in two very important ways) between 1969 and 1974 and actually used gunpowder to launch the electrified probes (this detail led the Bureau of Alcohol, Tobacco, and Firearms to classify it as a firearm). Cover grew up idolizing Tom Swift and so, when it came time to title the device, he hearkened back to an eerily prescient novel from his childhood: Tom Swift and His Electric Rifle. Because “TSAHER” isn’t an easy acronym to pronounce, Cover did some tweaking and created “Tom A. Swift’s Electronic Rifle” or… TASER. Rick and Tom Smith approached Cover in the early 1990s to modify the device (ultimately switching to compressed air from gunpowder) in hopes of producing the item for law enforcement and the consumer market. 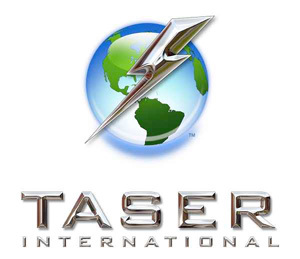 They put it all together by 1994, and built their company Taser International, Inc. (it’s no longer an acronym, just a name) around the less-lethal electroshock gun. The term “Taser” has become so commonly used in a generic noun sense that “tase” and “taser” have also become common verbs (as you may have heard before). So you’re not completely crazy for thinking that “taser” was a word used to describe any electronic shock weapon. I’ll admit: I learned this one from TV. There was recently a Wal-Mart commercial wherein the dramatized store employee promised a great deal on “Popsicle pops”. I thought it was a bit redundant but before I spouted off about how terrible the commercial was, I hit the Internet. 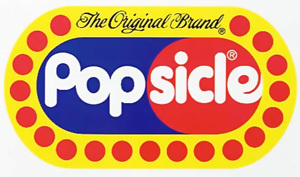 Lo and behold: Popsicle is a brand of “ice pop” that has been around for over 80 years. The treat was discovered by accident in 1905, when an 11-year-old boy named Frank Epperson left a mixed powder drink outside overnight, with the stirring stick still in it. The temperatures plummeted overnight and Frank discovered the “frozen drink on a stick” the next morning. Somehow, he kept this idea to himself for 18 years and he eventually introduced it at the Neptune Beach amusement park in California. Seeing that people clearly were into the frozen confectionery, he applied for a patent under the name “the Epsicle ice pop”. Apparently his kids suggested he change it to “Popsicle”. Learning about this one floored me. I think part of my surprise derives from the fact that I always thought “jacuzzi” (lowercase J – a word that doesn’t actually exist) was some fancy translation of “hot tub” that originated at some Italian spa in the early 1900s. I was sort of right, though: the history behind the name is, in fact, Italian. At the beginning of the 20th century, seven Italian brothers with the surname Jacuzzi immigrated to the United States and learned the ins-and-outs of making machines. At first, they specialized in airplane propellers and other areas of aviation manufacturing. The brothers’ focus changed after one of them died in a plane crash and before long, they were making innovative deep well agricultural pumps. Later, when one of the brothers’ sons (Kenneth) developed rheumatoid arthritis, the company developed a submersible bathtub pump in order to provide hydrotherapy for him at home. Before long, Kenneth took charge of the company and marketed the submersible pump (dubbed the “J-300”) as a therapeutic aid that could be placed in any bathtub. Several Hollywood stars immediately jumped on board, offering testimonials and the name “Jacuzzi” was instantly synonymous with whirlpool bathtubs. Tangent for a second: what is a spa, definitively? Can we get a ruling on this? Because for a while it seems like it was just the name for a place where you would get pampered with massages, skin treatments, and all other sorts of therapeutic relaxing things. But now it seems like “spa” is a synonym for “hot tub”. What’s the deal? Anyway, Jacuzzi is a brand name and in an addition to hot tubs, they also make bathtubs, showers, toilets, sinks, and mattresses. Who knew? At this point, anything made out of foam – cups, plates, coolers, packing materials – is usually referred to as being “Styrofoam”. It’s so ubiquitously used that even if I am making an effort not to use it in a generic sense, I struggle to think of an appropriate replacement. But truthfully, Styrofoam (or the technical “extruded polystyrene foam”) isn’t used in cups, plates, coolers, or packing materials at all. Styrofoam can be found primarily in building materials (mainly insulation, in the form of “Blue Board”) and arts & crafts supplies. And if you were wondering: all those disposable cups and plates that you’ve been calling “Styrofoam” are actually made of expanded polystyrene foam (which is very similar to Styrofoam but, at the same time, is still not Styrofoam). I don’t even know what to say. I had no idea that this company existed nor that, according to said company, what we know as “Velcro” is not actually Velcro. That stuff with one side that’s hard and pointy and one side that’s soft and hairy? That’s not Velcro. That’s “Velcro brand hook-and-loop fasteners”. The distinction is important because the Velcro brand makes a lot of different sorts of products (it’s worth noting here that nearly all Velcro brand products feature hook-and-loop fasteners and so… it seems like a whole lot of semantics, to me). Because I know you’re curious: the term “Velcro” came from its Swiss inventor George de Mestral and it is a combination of the two French words “velours” and “crochet”. Did I forget it? Or did I mention it in the third paragraph? Would rollerblades be a good one too? I truly can’t figure out what word you would use instead of Jet-Ski. For people who cook; Crock Pot. You should have an honourable mention for ‘Heroin’ which is a trademark of Bayer, the chemical/drug company. Dumpster is also one. Who knew? Your articles are great, but since you are about informing the general public of proper word usage and pronunciation I feel compelled to point out a common error made in your second paragraph. You wrote, “…using a trademarked name as if it was just a regular old noun.” It should be, “…as if it WERE just a regular old noun.” The subjunctive form of the verb should be used in an “as if” phrase because one thing is acting like another but in reality is not. The subjunctive form is so rarely used properly anymore. Maybe that would also make a good article. 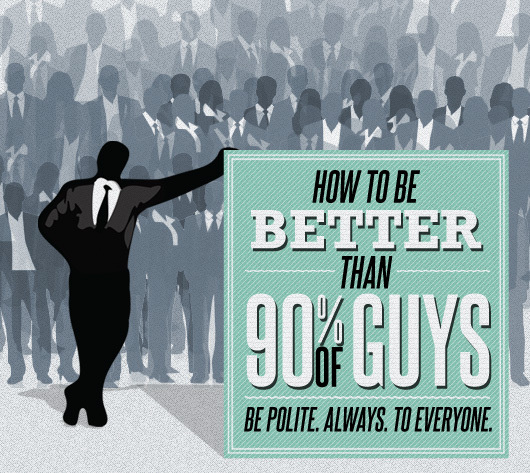 Keep up the good work of helping the average speaker not sound so average. Fascinating article! Jacuzzie, Jet Ski and TASER all really surprised me!! If you have been doing a new entry every week, looks like I have some catching up to do. “…many words being fired back in forth in communications…” I understood the phrase to be “back AND forth”. I was going to bring up emigration/immigration, but upon educating myself, it seemed I needed educating! Going to go read more of your posts…Thanks! Yes, I caught the “…back in forth…” too, and I knew you had Kleenex. You didn’t mention Vaseline, for any brand of petroleum jelly, though, or the very commonly used Pampers, no matter what brand of disposable diapers you’re talking about. I’ve also heard Kotex for sanitary napkins and Tampax for tampons. The term for doing this is what I was trying to remember (“proprietary eponyms”). Thanks. Fun article. The non-proprietary phrase I’ve heard for “Jet Ski” (which I didn’t realize was trademarked) is “personal watercraft.” I admit that, at least to me, that wouldn’t be specific enough such that I’d immediately think “Jet Ski”. What the heck does one call a non-brand Frisbee (flying saucer?) or Hula Hoop? Let us not forget that “Refrigerator” came into being as a corruption of the name of its manufacturer, Frigidaire. Just wanted to say thanks Justin for the fabulous information. I also would like to share with you that my co-workers cont to say put some Freon in it. It’s low on Freon. This statement is not true. Freon is a brand name for a few refrigerants that are manufactured by a company that goes by the name of Dupont. One more statement, their is NO such thing as a Hot Water Heat. As far as I know it’s called a water heater. The water doesn’t come hot folks. Happy New Year to you and your family. I just learned this last week: Although whiffle means a whooshing sound, Wiffle Ball (no h) is a registered trademark. I recall a few years ago, hearing that Google had a campaign to get people to use the phrase “use your favorite search engine” instead of their brand name, out of fear of losing their trademark. Aspirin still is a brand name in Canada. It belongs to Bayer. “National Association”? Of which nation? Thank you for the interesting info. I tried to guess what the words might be before I read about them and guessed only a few that you mentioned but several others (all named by Janet, above) that you didn’t. I find this kind of trivia interesting and educational. To laban24: I think the author’s use of the phrase “as if it was just a regular old noun” is correct. The subjunctive, “as if it were,” is reserved for those phrases that indicate an impossibility or a statement contrary to fact. It is possible for a trademark to become a regular old noun. In fact, all will eventually become regular nouns when the trademarks expire. The subjunctive is for something like: “She screamed during childbirth as if she were pooping a whole cantaloupe.” Yes, I think that would be impossible. Nice image, eh? I actually knew about Jacuzzi. But that’s because one of Jacuzzi Brothers main offices used to be 5 minutes from where I live. Unfortunately it has been bought out and is under a completely different, and far less cool, name now. … and now I know where the word “velour” comes from. Thanks! Isn’t that just called Branding? “Seeing Eye Dog” is actually a trademark of The Seeing Eye, Inc guide dog school. If your dog wasn’t trained at TSE, then it’s just called a “guide dog”. I’d also like to mention Rollerblades. The generic name is “inline skates”.